I have a secret. Now, this is seriously top secret, so don’t tell!! We have found one of the best dining experiences around Epcot! 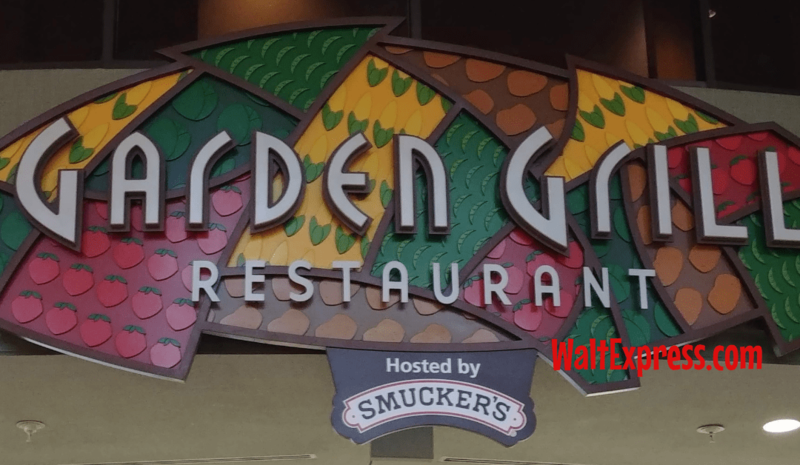 Check out Garden Grill: A Disney World Dining Review to find out why this has become our family’s first stop of the day in Epcot! Garden Grill is Disney Dining at it’s BEST! 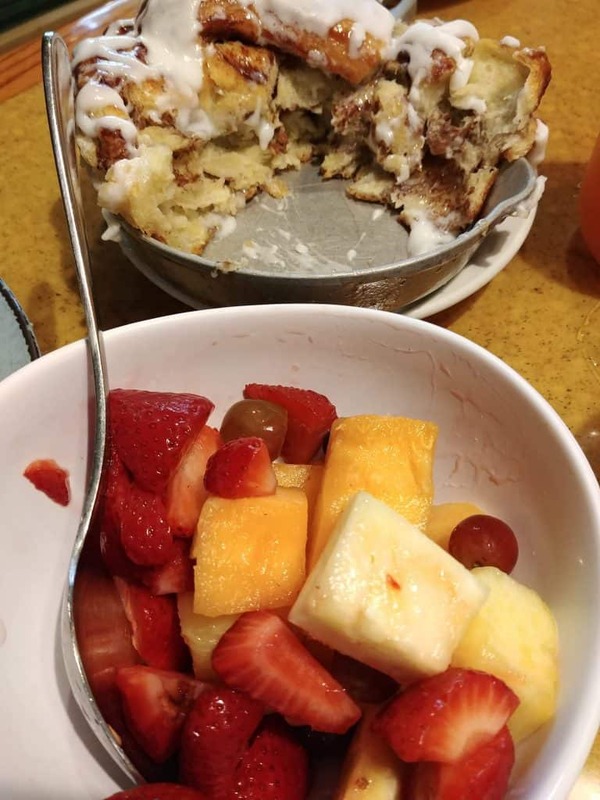 Since breakfast IS the most important meal of the day, I thought it would be best to do a review of our breakfast experience. The Garden Grill also offers a wonderful and scrumptious lunch and dinner menu, which also have character interactions and amazing “Disney grown food”. This “rotating” restaurant boasts beautiful scenery, fabulous food and great character interaction. A truly hidden gem! The Garden Grill is easily located in Epcot’s Future World in the Land Pavilion. 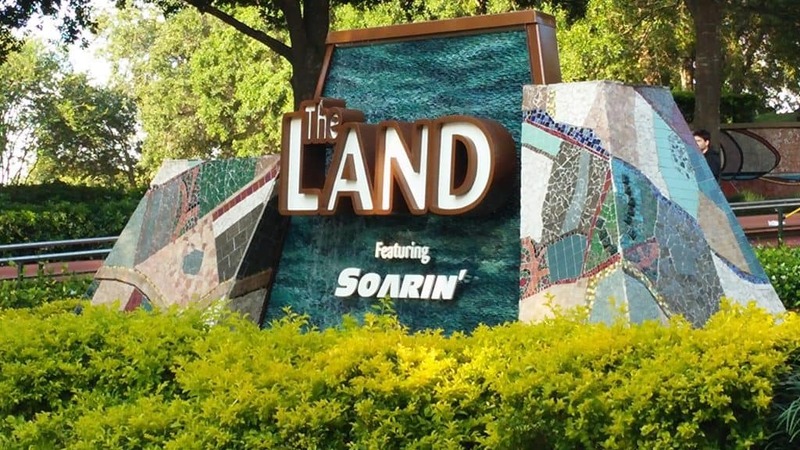 There are several attractions in the same area, such as “Soarin’” and “Living with the Land”. This area of the park is nestled between “Journey into Imagination” and “The Seas with Nemo and friends”. I know what you’re thinking…You didn’t realize you would actually be “on” an attraction while eating. I definitely understand THAT fear. The restaurant rotates VERY slowly so that you are able to view the Living with the Land attraction. The Living with the Land attraction is a slow boat ride through Walt Disney World’s greenhouses and fish farms. It is a truly amazing experience to see how Disney World grows all of this delicious vegetation! You will actually be eating many of the foods that are grown there!! How awesome is that? I highly recommend hitting that attraction up as soon you are finished dining. Your children will love pointing out many of the foods that they have just eaten. Notice the “hidden Mickey”? LOL! You will be visited by Chip and Dale (whom I might add are quite mischievous), Pluto and Farmer Mickey! Farmer Mickey has been working hard in the garden and still has on his overalls. The character interaction here at The Garden Grill is one of the best we have ever had the pleasure of participating in. Chip and Dale are especially energetic first thing in the morning. Don’t be surprised if they stop to color with your little ones or grab a bite right off of the table! 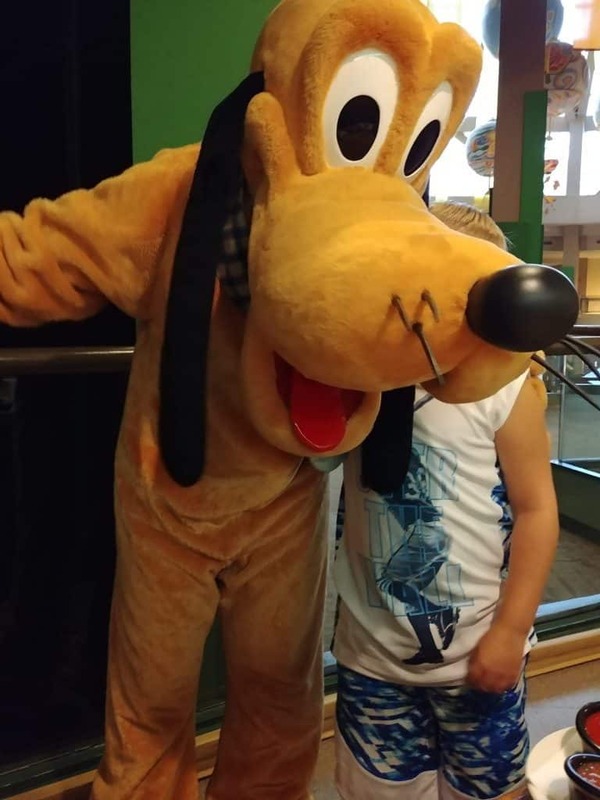 Farmer Mickey and Pluto are, of course, super loving and fun, also! The word “feast” pretty much sums it up. You will receive a delicious feast featuring all of your breakfast favorites and more than you can imagine. Let’s start with the most important feature: COFFEE and a lot of it! Yes, they bring the entire pot to your table. They also have a delicious orange, passion-fruit and mango blended juice that my children seem to never get enough of. Other juices and beverages are available, as well. 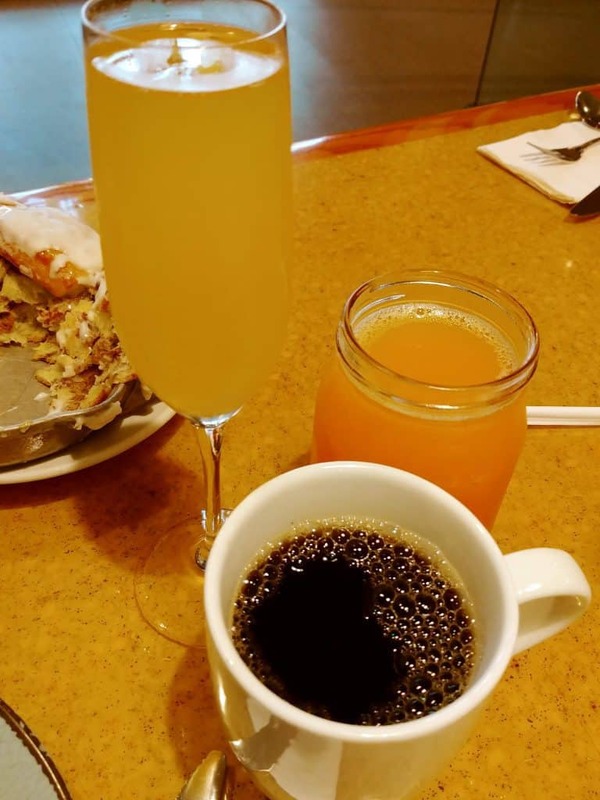 That may or may not be a Mimosa! 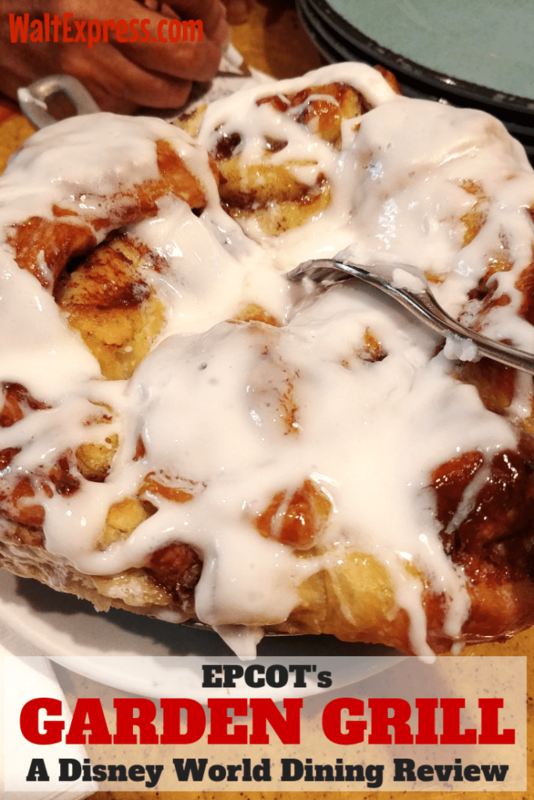 As you are pouring your first cup of that hot and delicious coffee, a cast iron skillet with “Chip’s Sticky Bun Bake” is placed right in front of you. After you have had a little time to enjoy your sticky bun, the main attraction is brought to your table. 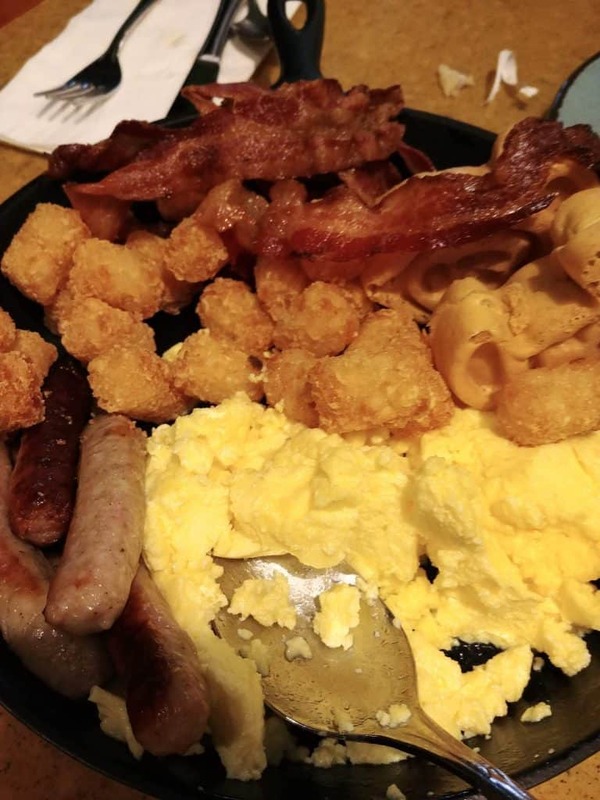 This platter of breakfast goodies include fluffy scrambled eggs, bacon and ham cooked to perfection, potato barrels and seasonal fresh fruits, such as cantaloupe, strawberries, blueberries and more! 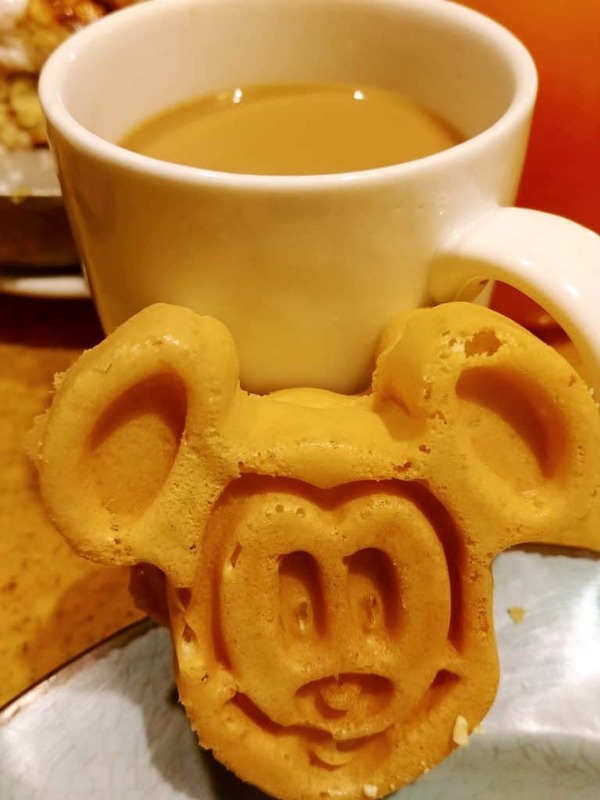 As if that is not enough to get you going on a fun filled adventure in Epcot, the Mickey Waffles appear! Yes, even Mickey Waffles, but wait…the waffles have a “warm hazelnut chocolate sauce”, just for YOU! The hazelnut and chocolate sauce will make you want to stay in The Garden Grill indefinitely! ***Note…DO NOT stay long enough to almost miss your fast pass to Soarin’! (That may or may not have happened)! Remember, this is a family style, all you care to enjoy meal. This simple means, that when your server sees that your “vittles” are getting low, be prepared to see a whole new platter of breakfast greats coming your way! Thanks for checking out Garden Grill: A Disney World Dining Review! I hope you have enjoyed reading about it, but I promise, you will enjoy eating at The Garden Grill even more! Check out these tips to make your dining experience even MORE enjoyable! 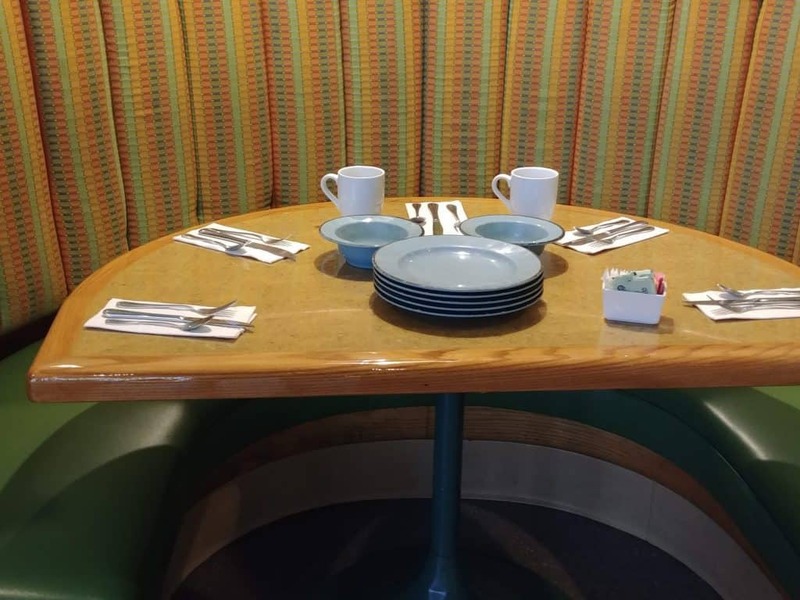 Get a pre-park breakfast dining reservation. This means that you will make your reservation BEFORE the park opens and get a first hand sneak peek at Epcot with very little people. As an extra bonus, you may can even grab a ride or two with zero wait time! Bring those autograph books and a pen! Grab a reservation by calling 1-407-WDW-DINE or by visiting your My Disney Experience. For even more EPCOT dining fun, check out these top SNACKS IN EPCOT! Join the Disney Express Lane Facebook Group to discuss this and many other Disney related topics.